Prefer to print your own invitations? Or are you planning to email your friends or post to Facebook instead of mailing? This listing is for you! 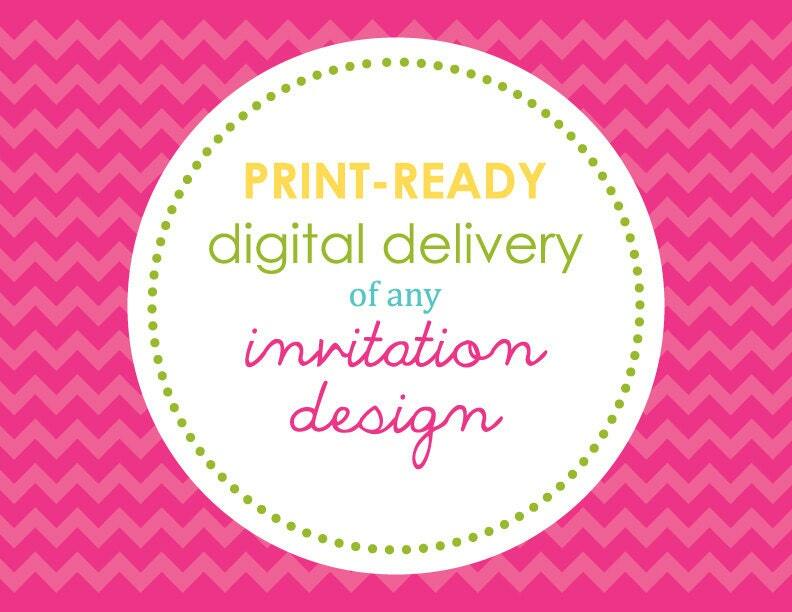 This listing is for the digital delivery of a print-ready file of any invitation design currently in our shop. You only need to purchase this listing to order. Just let me know during checkout which invitation design you would like. A digital proof will be emailed to you promptly for your approval. Once the proof is approved, you will receive both a print-ready PDF and JPG in your choice of 5” by 7” or 5.5” by 8.5” via email. Please be sure the email address associated with your Etsy account is accurate, as to not delay the delivery of your files.